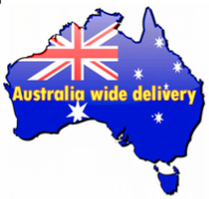 Browse out extensive range of products and service. 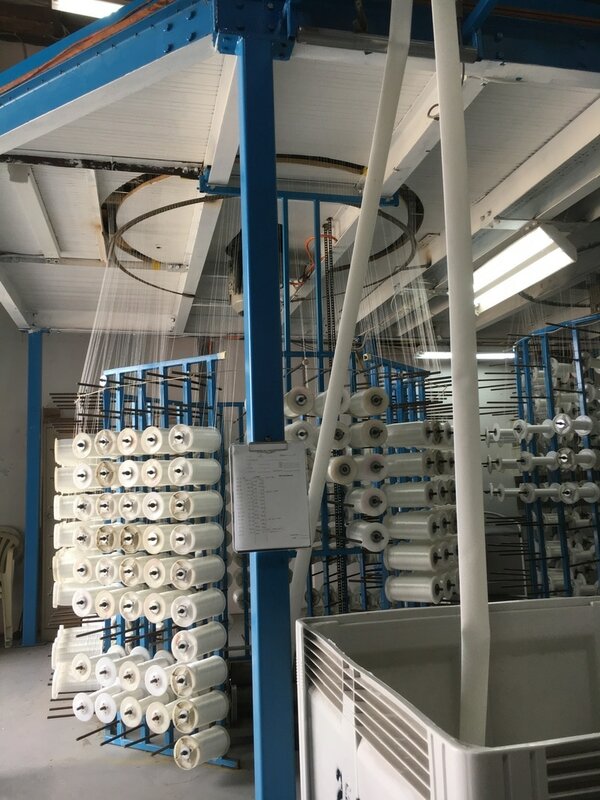 Crusader Flexibore yarn being woven. 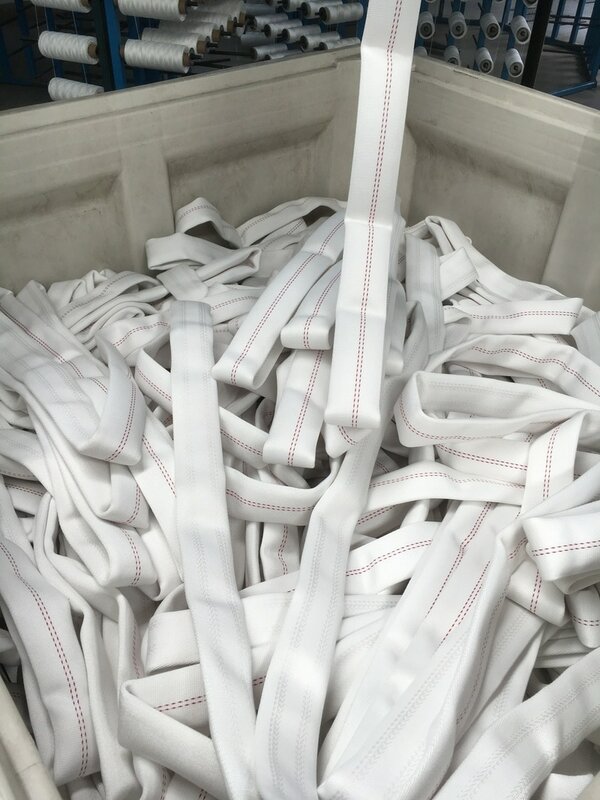 Crusader Flexibore yarn after the weaving loom. Crusader Flexibore entering unique extruding machine. 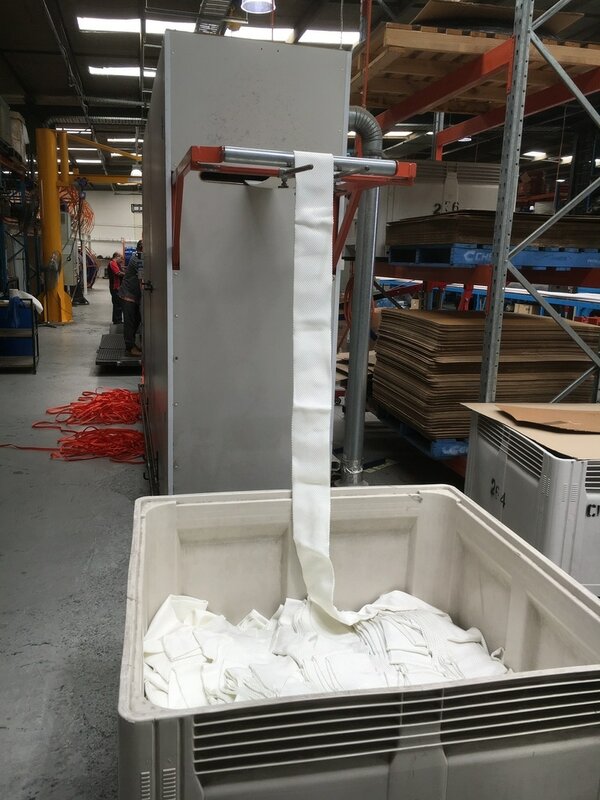 Crusader Flexibore exiting extruding machine. Prior to extensive testing process. 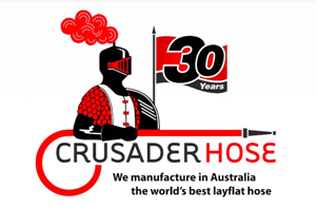 Crusader Hose celebrating 30 years of growth, success and innovations. 1985-2015. 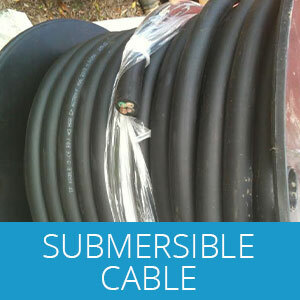 Flexibore is a flexible style riser pipe used for the installation of Submersible Pumps. 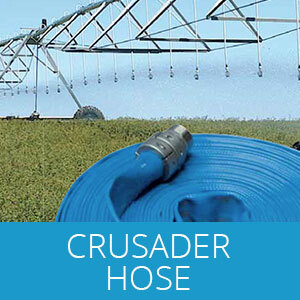 The Hose is produced by integrating thermoplastic polyurethane into a woven textile fabric of high tenacity polyester. 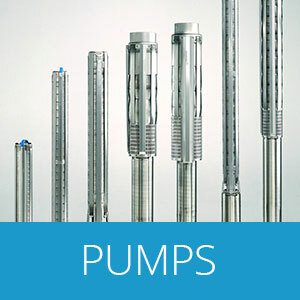 This process gives the hose flexibility while supporting the weight of a submersible pump. 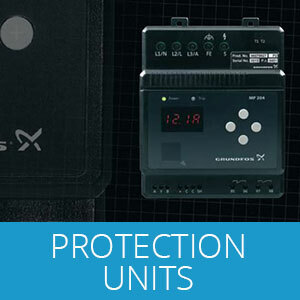 These include mine site de-watering, domestic and municipal water supply, test pumping, rural and industrial water bores and similar ground water projects. 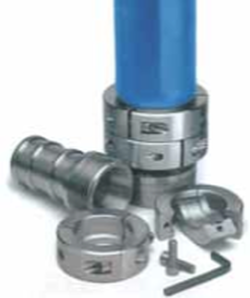 On site Flexibore is attached to the pump with the patented couplings. 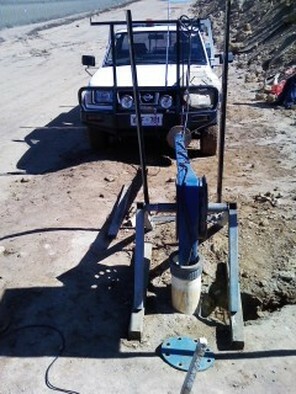 The pump, with hose and cables attached, is lowered into the bore by hand or using either a simple rolling wheel or a crane. 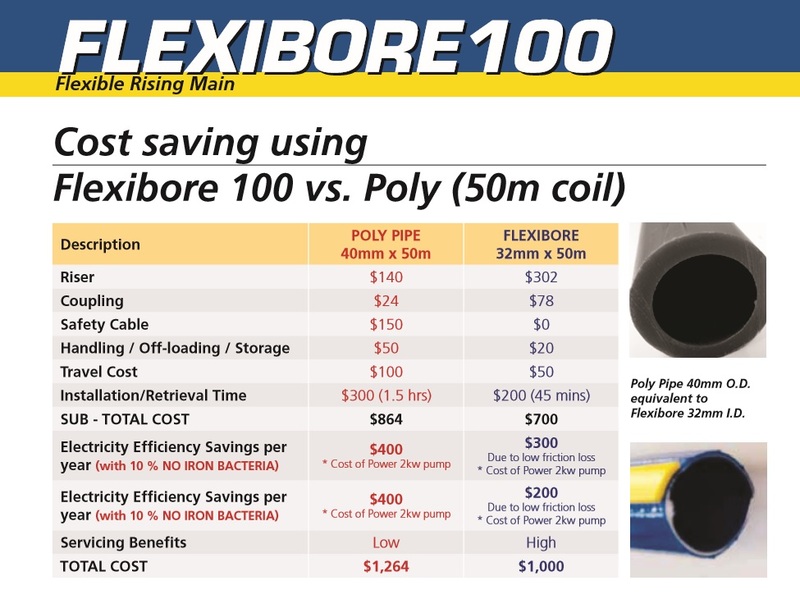 Flexibore will suit many water bore applications and is compatible with most submersible pumps. 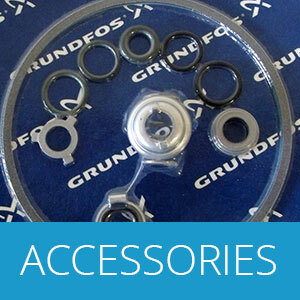 The sizes range from 40mm to 200mm internal diameter and depths of up to 250m. Electrical cable attached to Flexibore ready for installation. 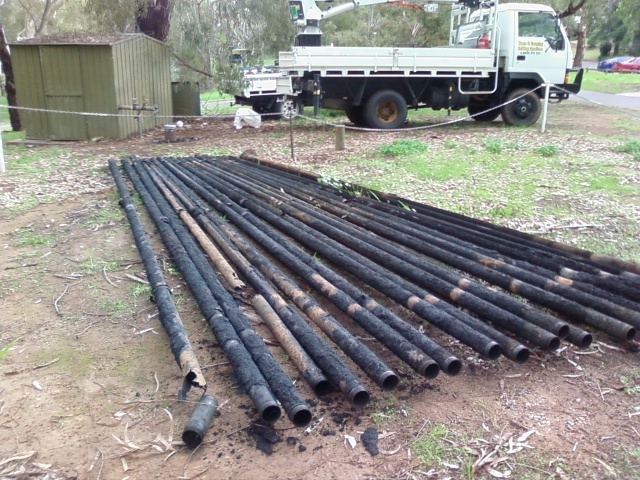 Installation of a 7.5 kW submersible pump to 100 metres using a roller and tow vehicle. 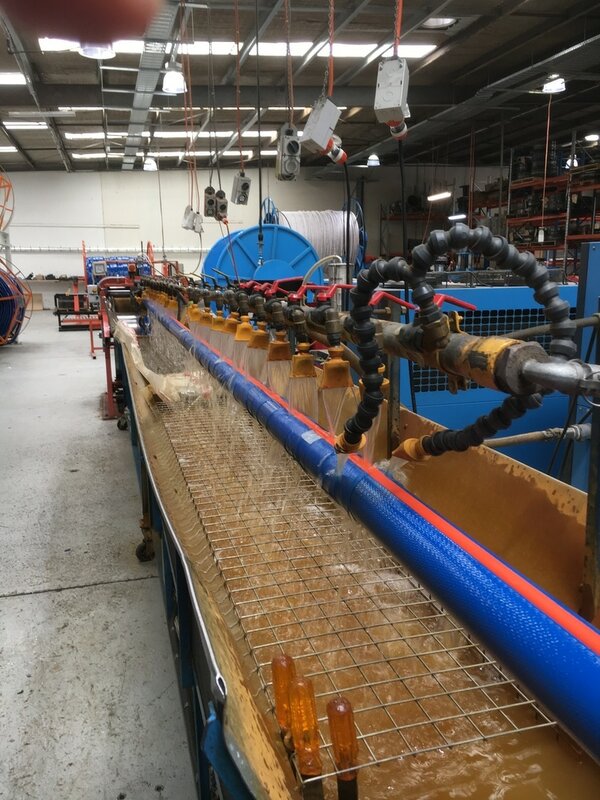 Flexibore has been specifically designed to replace rigid riser pipes such as steel which is subject to rust and encrustations. 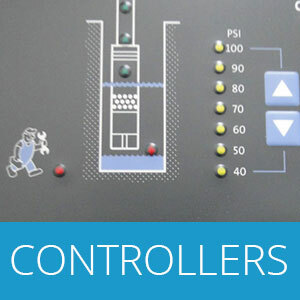 This internal scaling reduces flow rates and pump efficiency. 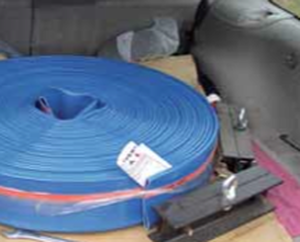 Other risers such as fiberglass and polypipe can be brittle or kink and are easily damaged. They are also generally heavier and hard to handle. Rusted steel pump column removed from bore ready to be replaced with Flexibore. 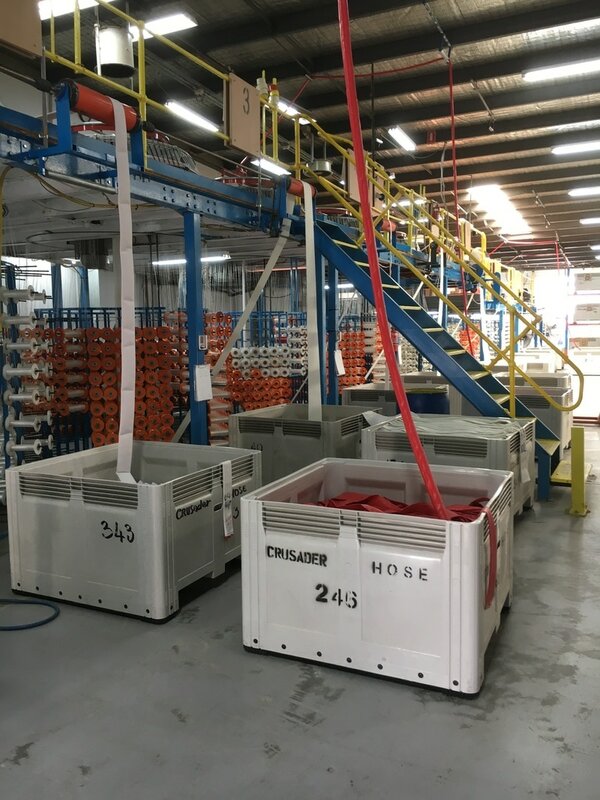 With its continuous length, the hose can be installed with less time and labour than rigid systems, this includes poly pipe. 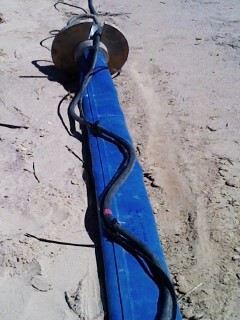 The same advantages apply to pump retrieval.